Derby Gurl is named for the colourway created by Fiber Lily Yarns and uses both a full 100g skein along with a 20g mini skein for an added pop of colour. 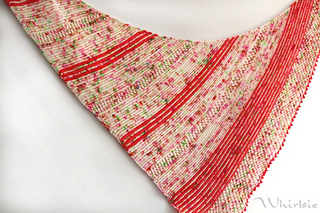 This shawl/wrap is an asymmetrical triangle with an icord edge and a combination of lace sections. Worked using only the knit stitch (no purling! 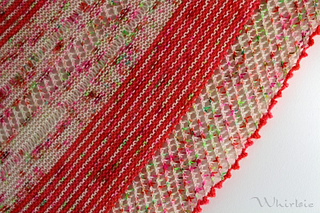 ), this pattern is fun and easy to follow. The different lace sections add a little something interesting as you become a derby gurl too. Asymetrical triangle: 39” or 99cm in length and width. 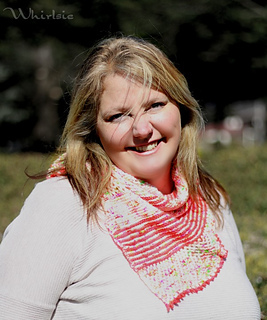 Advanced beginner - you will need to know how to knit, work simple lace, and increase. 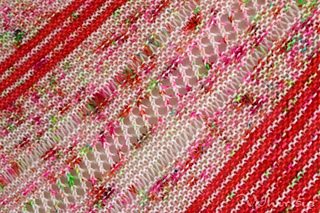 Tutorial links are provided within pattern.